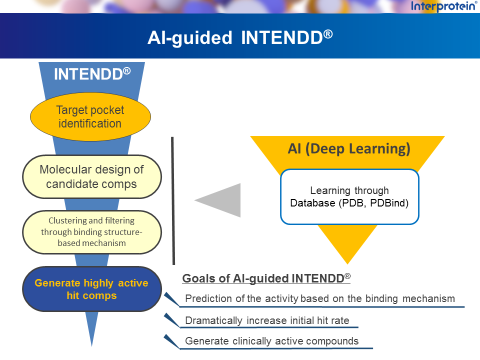 In 2016, we have initiated the development of AI-based drug discovery program that integrates INTENDD® and deep learning in collaboration with AI Squared, Inc. We are working towards changing the existing paradigm of drug discovery by achieving accurate activity prediction using the highest-precision AI. 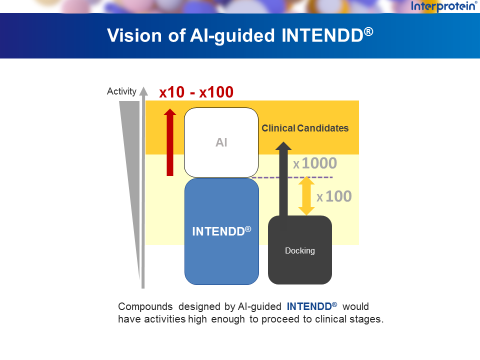 Our ultimate goal is to realize the development of small molecule drugs with our AI technology that does not require chemical libraries. Copyright © 2015 Interprotein Corporation. All rights reserved.